I’ve been fascinated by the legend of George Mallory, and whether he was the first person to climb Everest, since long before I became a mountaineer. Many years and many mountains later I finally had the chance to follow in his footsteps earlier this year, when I climbed Everest by the Northeast Ridge where he disappeared in 1924. I have always assumed that he never reached the top, but it was an assumption I reached from books that analysed his last climb. Would going there and climbing the features I had read about so many times cause me to change my opinion? The story has been written about many times, but for those who are unfamiliar with it, here is a summary. He and his companion Sandy Irvine were last seen climbing a rock step on the Northeast Ridge of Everest at 12.50pm on 8 June 1924 by a fellow team member Noel Odell, who was climbing from Camp 5 to Camp 6 (their high camp) behind them in support. They never returned, and ever since there has been speculation as to whether they were the first people to climb Everest 29 years before Edmund Hillary and Tenzing Norgay in 1953. The discovery of Mallory’s body in 1999 did nothing to answer this question. There has been a great deal of speculation about which rock step Odell was looking at when he saw the climbers, so first it’s necessary to acquaint ourselves with some of the features on the Northeast Ridge. Here’s what Everest looks like from Base Camp on the north side. As you can see, there are three possible candidates for Odell’s rock-step. When he made the original dispatch, Odell assumed he had seen Mallory and Irvine on the Second Step. However, at high altitude and in the heat of the moment the memory often clouds. By the time he was quoted in team leader Edward Norton’s account of the expedition, he seemed to be having doubts about whether it may have in fact been the First Step. Noel Odell in The Fight for Everest by Edward Norton. Why this confusion when the three rock steps seem to be very distinct? It’s a question of perspective. Things start to look very different when you get higher up the mountain. A photo of the three steps from Base Camp won’t tell us much, but let’s go a little higher and try to get some idea of where Odell was at the time he made the observation. Here’s a view of climbers on their way up from Camp 1 on the North Col to Camp 2, with the route up to the Northeast Ridge shown in red. The point where the route joins the ridge is known as the Exit Cracks, and from there it follows the ridge all the way to the summit pyramid, at which point it’s necessary to traverse beneath a rock band for a short way until a way can be found through it up to the summit. Modern day Camps 2 and 3 roughly correspond to Camps 5 and 6 in 1924, so Odell would have been following the red line approximately when he saw Mallory and Irvine. He left Camp 5 (or 2 on the diagram) at 8am and arrived at Camp 6 (or 3) at 2pm. He saw the figures at 12.50. To get some idea of the view Odell would have seen it’s therefore necessary to look at a photograph taken somewhere between modern day Camps 2 and 3. We can’t be certain precisely where he was, but the sequence of photographs below gives some idea of the change in perspective. It took me four hours to climb from Camp 2 to Camp 3 (Odell, a geologist, was stopping to examine rocks, and so was taking it leisurely). The first picture in the sequence was taken about an hour out of camp at which point, as you can see, only the Third Step was visible. The second picture was taken at approximately the halfway point, while the third was taken from Camp 3 itself. It’s probable therefore that Odell saw Mallory and Irvine at some point between the second and third photos in the sequence. But what does this tell us? In my opinion, the most pertinent words are contained in his first statement, when he stated he was looking at the prominent rock-step at a very short distance from the base of the final pyramid. I believe Odell’s statement in his dispatch, rather than the one he made in Norton’s book, is likely to be more accurate. It was made when the incident was fresher in his mind and before he had the chance, possibly influenced by the questions from other people, to over-analyse. Speaking from experience, I find my memories of climbs tend to shift and change as they become merged with the descriptions of others, until I can no longer remember what I witnessed and what was simply told to me by other people. The only way I can separate the two is by looking at what I recorded in my diary immediately afterwards. I believe something like this almost certainly happened to Odell, who didn’t return to the Northeast Ridge afterwards to re-examine things. The prominent rock-step at a very short distance from the base of the final pyramid doesn’t look to me like it can possibly be the First Step. If anything, it’s more likely to be the Third Step. I think therefore that by 12.50 Mallory and Irvine were at least at the Second Step, possibly at the Third. They still had another seven or eight hours of daylight ahead of them, and this is what they will have seen. Above the Second Step the ridge, which is narrow and precipitous between the First and Second Steps, broadens considerably and becomes much safer. The Third Step and summit pyramid are up ahead, and for the first time the climber feels that the summit is within reach. They may be unaware the true summit (indicated in the photograph) is in fact a little beyond the prominent rock pyramid up ahead. By the time a climber reaches the Third Step, the summit seems to be very close indeed, though in reality there are still another two hours of climbing needed to reach it. One of my team, Margaret Watroba, made the agonising decision to turn round here on May 19 this year, but many are not so wise. A dead body currently rests at the bottom of the Third Step, shielded from view by the figure in yellow in this photograph. I counted a further three bodies as I was descending at around 1pm, roughly the time Mallory and Irvine may have been here, if indeed Odell had seen them climbing the Third Step rather than the Second. More poignantly, as I descended the Step, a single figure in a red down suit waited at the bottom. He was still going up, and he appeared to be on his own. I was exhausted and concentrating on my own very difficult descent. It did not occur to me how late it was and we passed each other without a word. He did not return. As many as five climbers may have died on Everest this year as a result of summit fever, the determination to reach the summit at all costs, without consideration for the consequences of continuing on. Some of them had been told to turn around by their more experienced Sherpas, but chose to ignore the advice. With so many dead lying on or beneath the Third Step, a straightforward if exhausting scramble, I wonder whether this is because so many push themselves beyond their limit because the summit seems so deceptively close. In 1933 Sandy Irvine’s ice axe was discovered on the ridge a short distance below the First Step. George Mallory’s body was discovered a few hundred metres directly below this in 1999. There was a hole in his skull and a rope around his waist which had snapped. His sunglasses were in his pocket, suggesting the pair may have been descending in the dark, when Mallory no longer needed to wear them. The ridge is wider at this point, and no trouble for fresh climbers during daylight hours. For exhausted climbers descending at night, a fall seems more likely. Perhaps it was Irvine, the inexperienced one. Perhaps he dropped his ice axe in the fall and the rope was cut on a rock as the pair plunged. Mallory was probably already unconscious from the blow to his skull by the time he came to rest a few hundred metres lower down. Mallory was a man obsessed with “conquering” Everest. He saw it as his destiny, and he knew that after two previous attempts the expedition in 1924 would be his last chance. Having been there myself and seen how people behave with the summit apparently so close, I don’t believe he of all people would have turned around above the Second Step, especially if he was still moving “with considerable alacrity”. Once above the Third Step it seems unthinkable, except with the benefit of hindsight, knowing (as we do now) how far there is left to go. If it was dark by the time they were descending below the First Step then they must have climbed well beyond the Second Step after Odell saw them at 12.50, and some way beyond the Third one too, before they turned around. Herzog and Lachenal reached the summit, but they had an epic, agonising descent, and were lucky to survive. Both of them lost all their toes to frostbite, and Herzog lost all his fingers as well. It is notable that Lachenal was a professional mountain guide whose career depended on remaining free from injury. Herzog was the more educated of the two. His expedition book became a worldwide bestseller, and his position as the leader of the first expedition to climb an 8000er opened many doors for him. It seems hard to believe now, but he never regretted losing his digits. It was a different era, and Mallory was cut from Herzog’s cloth, not Lachenal’s. I now believe George Mallory and Sandy Irvine did reach the summit of Everest in 1924, but does it matter? There is a growing minority in the mountaineering world who believe that first ascents should only be credited to climbers who get down safely as well as up, and they have a point. There was no camera on Mallory’s body when they discovered it in 1999. Many people believe Irvine was carrying it, and if only his body can be found then summit photos (or lack of them) will finally solve the mystery. But where is Irvine’s body, exactly? If the rope snapped and he fell below Mallory, then he likely plunged 2-3000 metres down the North Face into the Rongbuk Glacier. If this is the case then it will still be many years before it emerges from the glacier snout at Base Camp, and by then it will be unrecognisable. If the camera is still in one piece then it will be a miracle, and will mean they flew to the summit in a flaming chariot drawn by unicorns. And a yeti probably popped up to take the summit photo. Whichever way you look at it Hillary and Tenzing were the first people to climb Everest and get down again. You can read my report of our climb via the North Ridge and see photos and video of it here. Brilliant analysis Mark! Your intuition that contemporanious notes are the most accurate is also a principle of court evidence. And your conclusion is most pertinent to a better future for high-altitude mountaineering; one needs to return for a climb to be considered successful. Great news, Dean – it’s always pleasing to know your detective work can withstand the scrutiny of a copper! Interesting analysis. Perhaps having been there you can further comment on a line from Odell’s original dispatch “The first then approached the great rock-step and shortly emerged at the top; the second did likewise.” Of the three rock-steps which one or ones allows for the statement “shortly emerged”. It would seem that the step was climbed rather quickly. From your experience which of the steps could be climbed in a short period of time? That’s an interesting question and one that has been subject of much speculation over the years. The answer is Third, First and Second, in that order. The Third Step is by far the shortest and most straightforward to climb, while the Second Step is sufficiently difficult that some commentators have wondered whether it would even have been possible for Mallory to free climb it in 1924, and get his partner Irvine, a relatively inexperienced climber, up there behind him. In 1960, in what is now regarded as the first ascent of Everest by the Northeast Ridge, a team of four Chinese climbers described spending around 3 hours trying to climb it, eventually doing so by standing on each others shoulders, a curious method which caused many people to doubt their claim. In 1975 a ladder was installed on the hardest part of the Second Step, which has remained there ever since, although in 2007 the climbers Conrad Anker and Leo Houlding removed it temporarily to see whether it would have been possible for Mallory to free climb the step. Although they found it very tough at that altitude, they concluded it would have been possible. While many people regard this part of Odell’s statement as crucial, I chose to ignore it. The speed at which anyone climbs the steps depends not only on their skill as rock climber, but also how strong they were feeling at the time, and that’s something we just don’t know. Equally importantly, how long a period of time is “shortly”, to Odell or to anyone else? Perhaps he was waiting for just 10 minutes, or perhaps an hour. He doesn’t say. What I’m more sure of is that “shortly” at 8000 metres takes a great deal longer than it does at sea level. My personal feeling is this part of Odell’s statement is a bit of a red herring, and could have accounted for Mallory and Irvine being on any of the three steps. Thank you for a new and insightful analysis on Odell’s sighting on Mallory & Irvine. Your cogent observations ‘in situ’ coupled with the new ‘perspective as functions of terrain’ argument provide a fresh means of investigation (and perhaps conclusion) to the story. I read your account totally absorbed, such was its profundity. I have a question on the third step possibilty you suggest. Mallory’s last note at Camp VI to his chums below does mention “To here on 90 atmosphere’s so we’ll probably go on two cylinders, but its a bloody load for climbing”. Thus from the location of Camp VI at 8140m (26,700 ft), assuming each man took two cylinders, then they’d have between 7.5-8 hours to reach the 3rd step by 12.50pm. Thus its now assumed Mallory & Irvine to reach and climb over the 3rd step would have to carry three cylinders to gain the summit or if on just two cylinders attain a height perhaps above the 2nd step or the base of the final pyramid at best. Do you think Mallory and Irvine carried three cylinders each in order to be seen by Odell at 12.50pm on the 3rd step?. Also this would suggest a very early pre dawn start by the pair to depart Camp VI to reach the 3rd step by 12.50pm?. However to be fair, new work on this topic suggests we may be underestimating Mallory and Irvine’s ascent speed based on Odells climb rate, such that even with two cylinders, the 3rd step could be attained by 12.50pm with the summit still a distinct possibility. I welcome your analysis of these matters and thank you once again for such an original analysis here. I’ll be certain to visit your site again and read more such as Eric Shipton’s story I also found of interest. Thanks for this, it’s an interesting question. I know quite a lot has been written about the capacity and flow rate of the oxygen cylinders as evidence for whether or not they reached the summit. While there’s some value in this I’ve always frowned a little about any of these attempts to solve the mystery using an equation (despite having a degree in maths!). My argument is much simpler and mostly based on a single factor: Mallory had summit fever. I think it’s quite probable once he got going and could see the summit ahead of him he didn’t even consider the oxygen until it ran out (and Irvine was too knackered too argue!). Perhaps he carried three bottles, but probably not. Could he have got to the summit on two (eight hours you say)? Perhaps, it took me 10.5 with fixed rope and ladders, but then I’m no elite climber like Mallory was. Would he have continued when the oxygen ran out? If he was near the Third Step and had summit fever then I think so. I appreciate your kind reply containing much food for thought. Your argument on Odell’s perspective has long intrigued me (and others) but you’ve provided the kind of detail that I’ve intruitively suspected, but lacked the fine detail ‘in situ’ to properly address. Now Odell relates how he estimates he was at 26,000 ft and climbed a 100 ft crag up the North ridge en route to Camp VI. At the time he thought Camp VI was at about 27,000 ft (26,700 ft in truth) and after seeing Mallory & Irvine, at 12.50 pm he pressed upward and reached camp at about 2.00 pm. So thats about 1h, 10 mins to climb perhaps 600 ft, which is a very high climb rate sans oxygen, albeit lightly loaded. I suspect you’re right in that the middle photo showing the NE ridge is similar to what Odell saw, such that perhaps terrain between him and the steps maay have obscured some (1st perhaps?). Now if you have any photo’s at about the 26,100 ft leave, that may tell us more as I recall some have been in that area and taken photo’s butmore detail may shed more light. These are estimates only, but our Camp 2 was at 7815m (25,640 ft) and Camp 3 was at 8210m (26,936 ft) so 7955m (26,100 ft) is slightly less than halfway. I would reckon that puts the middle photo in the sequence more or less spot on. If anything it was slightly lower down, in which case by the route we took everything but Third Step would have been obscured by cliffs to our left (as they are in the first photo in the sequence). My other photos from the climb between Camps 2 and 3 are at https://www.markhorrell.com/travel/tibet/everest/ind_camp3.html, but the rest of them don’t really help much (the photos are in sequence). Thank you for these details on your climb squire, much appreciated. I’ve been incommunicado in recent days and have only been able to reply today. Yes, you’re quite right about the Odell sighting location in relation to your ascent to Camp III. Camp III (26936ft)- Camp II (25640 ft)= 1296 ft between them. Now you say you ascended this distance in some 4 hours, so thats about 324 vertical ft/ hr ascent rate. Did you use supplimentary oxygen to climb to Camp III?. Now 324 ft/hr is about what is nowadays calculated for Mallory & Irvine’s ascent rate based on the known location of their 1924 Camp VI and the #9 oxygen cylinder up at 8475 m (27,800 ft) and the flow rate on full flow of 2.2L/min conferring about 3.75 hours duration so for M & I we get 27800 ft (#9 cylinder)-26700 ft (Camp VI)= 1100 ft divided by 3.75 hours = 294 ft hr climb rate. Mind you thats up through the yellow band and then up onto the NE arete’ but as you rightly point out thee is no proper co-efficient for terrain difficulty, hydration, determination etc. So comparing your good self (at about 324 ft/hr)with Odell’s climb rate, yes, you should have been at about Odell’s location about 1.5 hours above your Camp II. Odell describes climbing a 100 ft crag at about 26,000 ft he estimates when he has his view of M&I above. depicts above the climber at upper left a ‘crag’ that would afford an unobstructed view of the NE arete’, so this photo would be quite close to the view Odell had. However Odell does say he saw the entire NE ridge clear of cloud when he saw M&I, so this suggests he had an unobstructed view atop that crag so to my mind, thats akin to the view from the first photo above (traversing2). Mark, could you estimate the altitudes of the various photo’s in the montage between your Camp II & III?. We need a photo taken about 1.5 hours above your Camp II based on your 324 ft/hr climb rate (and with a crag included). On the whole I agree with your suggestion you originally cite of the middle photo in your article as the Odell sighting area. Finally, Odell was really climbing quickly from about 1.00- 2.00pm to then reach Camp VI over 600 ft in a little over 1 hour. We can actually confirm this by looking at Odell’s climb rate in another section later. What hasn’t been looked at (until now) is Odell’s remarkable climb rate above Camp VI between 2.00 and 4.00pm during the squall. He reached Camp VI at 2.00pm, rested in he tent for a while then ventured out to find M&I. He climbed some 200 ft above Camp VI, then sheltered behind a rock during the squall for about an hour (with no ill effects despite being clad in the same kind of clothing as M&I presumably!) then descended down to Camp VI to arrived at 4.00pm when the storm ended. So in that two hour period he was stationary behind a rock for about an hour and also sheltering in the tent. Lets assume a 10-20 minute rest in the tent plus the hour or so behind the rock up at 26,900 ft (your later Camp III- are there many boulders up there to shelter behind, perhaps closer to the north ridge itself? ), that leaves only about 40-50 minutes when Odell was actually climbing up or down that 200 ft above Camp VI. Assuming equal ascent and descent time during the squall with limited vision (a few feet Odell says), then it suggests that even above Camp VI, Odell was climbing at ascent rates of about 600 ft/hr (after a 20 minute rest in the tent at 40 minutes climb time), or 480 ft/hr after a 10 min rest at 50 minutes climb time, which is comparable to Odell’s earlier climb rate to gain Camp VI between near 1.00pm and 2.00pm!. One wonders if M&I climb rate is actually underestimated if they managed to climb at the kind of rate near to Odell?. Again what would th effect of a larger load be but using oxygen, as opposed to Odell with a lighter load (recall he carried up an extra oxygen apparatus with one cylinder to Camp VI- albeit unused) and no supplimentary oxygen?. Could it be possible, we’ve all underestimated M&I climb rate toward the summit, in they achieved such pace that they abandoned the #9 cylinder early as surplus to requirements and then pressed on at a higher rate then they’ve been given credit for on their second cylinder?. Perhaps this explains Odell’s view of them up on the 2nd (or 3rd?) step moving with ‘alacrity’, with oxygen still ample enough to proceed. This is another issue, would they really have proceeded toward the summit from the 2nd step onward if the oxygen was nearly expired?. Its a matter of degree I suppose, but how much is too little before one decides you won’t make it?. These arguments are just some thinking I’ve done on the topic exploring a few new areas without restraint, but I welcome any insights you may have squire. Thanks again for your time and a good discussion. Yes, I was on 2 litres a minute during the climb from Camp 2 to Camp 3, although I should point out I never did get to grips with using it perfectly, and there were some occasions when I may not have been getting the full benefit (eg. at Camp 2 I was supposed to be sleeping on 0.5 l/m but in the morning my regulator was reading the same as it had the night before, meaning I had slept all night with the mask strapped to my face but not taken any oxygen from the cylinder). As mentioned previously, though, I don’t believe climb rates are the key to whether the pair reached the summit. For so many reasons, there’s no way they can ever be accurate. Eg. my climb rate from Camp 2 to Camp 3 changed wildly as I crossed different terrain, and I was very much slower all round on my summit day the following day. It’s also worth remembering the Chinese quartet who made the first accepted ascent of this route in 1960 happily continued through the dark and simply didn’t worry about how long it took. It’s my belief that Mallory and Irvine are in this category, in which case climb rate is largely irrelevant. Once above the Second Step the summit looks *so* close even though it isn’t. I thank you for your helpfulness with these details you’ve provided and patience. Don’t worry about sleeping through oxygen masks sans oxygen, I still get confused trying to find my way out of video shops after I buy a Doctor Who disc where the bright lights and mirrors leave me wandering about until I can find someone to lead me to the exit!. I appreciate your perceptive perspective on the Odell sighting but note that even if we’re out by a few hundred feet, the vista will be pretty much the same as you’ve described and yes Odell after the sighting, would have vectored toward Camp VI more to the upper left on the North ridge whereas today the high camps seem to be above that but still below the yellow band. I agree that climb rates have limits but to be on the 3rd step at 12.50pm must indicate a faster rate than what is now thought. I have an open mind on the matter, but I thank you for providing this fine detail on the actual terrain ‘in situ’ showing that the route in 1924 as now has all sorts of obstructions that may alter one’s perceptions there. Mark, would you ever consider returning to Everest as part of a dedicated expedition devoted to the search for Irvine?. Cheers squire, you’ve given me much new information on this to consider. Have read much of the literature relating to Mallory’s climb. Yours is the first that confirms my own(non-expert) opinion.ie That he would have weighed up and ignored all the risks to gain the summit,and was killed on the descent,by carelessness, brought on by tiredness and euphoria. I suspect Irvine was a willing accomplice in his unprofessional decision, as would be most of us . The growing number of forlorn bodies strewing the slopes attest to this unconquerable urge.And ‘How can man die better etc. Cheers, Rob. Yes that’s my hunch too. It would certainly be seen as an unprofessional decision these days. I wonder if people saw it like that at the time, though, a few years after a war which had killed millions, or whether it would have been seen as a glorious thing to die trying. On the other hand, recall that as outside observers much is still unknown about the fine details of M&I summit day, such that we can only conjecture and find ‘best fit’ analysis but which may in the final analysis be totally wrong. A gentle reminder that the at times bold self confident assertions by some writers may require a healthy dose of scepticism. Something I’ve been thinking about recently is the question of whether M&I would really climb up the 2nd step if their oxygen levels were as depleted as some observers calculate?. Now as they neared the step, they would be close to each other as the footing options are limited, so Irvine in charge of the oxygen kit’s efficiency would be watching the oxygen gauge on Mallory’s kit, such that if by the time they reached the2nd step, if the oxygen was in the final stages of operation (say below 25%, if the climb rate calculations by some writers are accepted), then the realisation may have dawned upon them both (together with the altimeter reading), that the summit was still a long way off and the oxygen was near exhaustion. If so, would they really attempt the 2nd step in the knowledge that the summit may well be beyond their oxygen capacity?. One can suggest they they may have intended to press on sans oxygen once above the 2nd step, but that may not be possible physiologically speaking. I’m mindful of the cogent arguments explored in the book ‘Tatort Mount Everest’ & the documentary ‘Erter Auf dem Everest’, by J Hemmleb, where the perspective of an expert physiologist is proffered where once one goes off oxygen at that altitude, the ‘fire goes out’ within the body, leaving M&I unable to continue. However if they did attempt the 2nd step, then it may suggest that their real situation was more sanguine than we outsiders think, such that the fact that did climb up on the step, tacitly suggests they were in a better situation than we give them credit for. As Mark conjectures, perhaps they were going so well that perhaps Odell saw them on the 3rd step at 12.50pm, which means they had more oxygen available or were climbing faster then we give them credit for (or they were trying to press on anyway sans oxygen with the summit so close). My point is that we don’t really know their true situation was such that it may have been better than what we think. As Jochen H rightly observes, the discovery of some M&I oxygen kit somewhere above the 2nd step will much better refine the entire issue. Well Mark,I have read and re-read the accounts of M & I and have studied the accompanying comments and diagrams. It is not the first time I hve studied accounts of 1924 but I think it is probably the best informed article I have read without too much ancillary information which only serves to fluff the narrative out to make it a longer read. First of all it must be a huge advantage to have been on site. I may be mistaken but it would appear to me that you were part of the Altitude Junkies expedition earlier this year. If so I was in constant communication with Axe and the Margaret you mention was his climbing partner. She was very sensible and turned around when she appeared to be within touching distance of the summit, something Axe did the previous year.I also think the dead body behind the chap wearing the orange/yellow anorak was Mr Green Boots.Incidentally on Axe’s return home to NZ the press gave him a bad time for referring to the body by that name.. There was no reason to doubt that M & I made a good early start, had an uneventual climb until at least the step in questio.Odell saw them climbing well from one step to another before they were finally lost in the clouds. As you say, the shape and form of the steps and horizon change according to where you are positioned below.Of all three steps the “prominent step” as described by Odell leads me to believe that this was the third step as the shape of it is quite distinctive. Odell’s notes quite clearly state that he saw M & I at ‘the” not “a” prominent step.The third step has a distinctive shape, being long and flat and it was also at the base of ‘the final’ pyramid. As we know, it is much further from step three to the summit than it would have appeared to them. It is quite reasonable to assume that, if they were at step three at 12.50pm to summit and descend would have ensured that they were descending in darkness. They would have been exhausted and at their most fragile making a slip, fall or careless placing of the feet very probable. The sun glasses in the pocket, the snapped rope,placing of the ice axe and the blow to Mallory’s scull all help us to imagine the final few minutes of the decent.I believe Mallory was leading when Irvine fell passing Mallory in the dusk.Mallory did his best to prevent his friend from falling over the edge into the glacier.I can offer no suggestions re the oxygen bottles as I have no experience in that field! I know it is easy for the flow to the mask to be interrupted but I doubt that, because of the weight, they would have carried more than two bottles. I also think that because M & I believed that to reach the summit and return would be quickly achieved they could retrieve surplus bottles on their decent. I have read your subsequent tweets with interest but fully realise that I have added very little to the discussion. I have, however,been able to focus my imagination on a fantastic hour or two up there in the clouds with Mollory and Irvine. What a sad and wonderful story created by two British legendary mountaineers. Yes, that’s right, Axe and Margaret were my team mates, and in fact I shared a tent with Axe on our summit push. His writing has a very stream-of-consciousness style, which includes mentioning all the things which irritate him as he’s climbing. A journalist in New Zealand looking for a story picked up on this and decided to write a sneery article about his attitude. But there’s more on that in another post (https://www.markhorrell.com/blog/2012/5-media-myths-about-everest-busted/). In fact the figure known as Green Boots is much lower down the ridge, about halfway between the Exit Cracks and the First Step. The photo you refer to is of the Third Step, where I counted four more bodies as I was descending. Your conclusions about the ascent are very similar to mine: that it may be the Third Step where Odell saw them because of his reference to the summit pyramid, that Mallory was gripped by summit fever and continued no matter what, and that he tried to arrest Irvine’s fall on the way down but failed. Of course, we could both be wrong, but hey – it’s nice to believe one story over another and have a picture in your mind. But you’re certainly right about one thing – two legends and a wonderful story! Since discovering your blog a few months ago Mark, I’ve been popping in for a read intermittently. This 3rd step issue is interesting but I’m mindful too that Odell’s original diary notation just refers to seeing M&I nearing the base of the pyramid with no steps mentioned. However, I’d argue that this short notation was simply an ‘aide memoir’ for later. Thus his next more detailed description is the best fit which is where the ‘prominent rock step’ enters the equation. To my eye thats still the eponymous 2nd step as it is near be base of the pyramid and to my eye is more prominent than the 3rd. To be fair, it may be immaterial as climbers can ascend between the 2nd and 3rd steps in 60 minutes and even 30 minutes is assumed these days. Granted the oxygen becomes the main criterion, but I’ve been arguing that, one really has to wonder whether M&I would really be still climbing up near the 2nd step if their oxygen levels were near to exhaustion as current timing projections would have us believe. Imagine M&I on that narrow section between the mushroom rock and the base of the 2nd step. Single file for the Englishmen with Irvine just behind Mallory and throughout the climb he’s more often than not close enough behind Mallory to read the oxygen gauge inexorably winding down as the hours go by. So once that the base of the 2nd step, they’d be at a critical juncture, to climb the more difficult obstacle so far on the climb or desist. Irvine would see the oxygen gauge at this point on Mallory’s (likely) second cylinder would be low (assuming todays usage projections are accurate), with the oxygen expiring just above the 2nd step. So be the base of the step, what do we project the gauge to indicate? Say 20% left, 30% at best?. Mentally, if they’re aware of their position, they’d know they still had some hours to go from the base of the 2nd step, which raises the question whether they’d climb the step at all with oxygen levels so low. By contrast the fact that Odell saw them climb the step (or assuming he saw them on the 3rd in extremis), tacitly does suggest that their situation was more sanguine than we give them credit for, such that they may well have had more oxygen than we assume as by contrast if the game was nearly up, would they really push on?. It may be by *indication* that all our assumptions are wrong and M&I situation was better, thus they climbed on by utilising extra oxygen they carried or they were actually climbing faster than we give them credit for on their existing oxygen cylinders (two carried per man – the de facto accepted number). Finally, on the descent, I and a colleague would argue that the rope force imprint in Mallory’s upper torso under the armpit on his left side, clearly indicates that Mallory was dangling at the end of a rope and sufficient force was applied such that the tensional force was transmitted via the rope to Mallory leaving the rope inmprint. That means either a rock acting as an anchor with rope tied to it during a solo descent or Irvine hauling on the rope until overloaded it broke sending Mallory falling to he death down the basin and Irvine still higher above him holding a broken rope. This must have happened right at the end as revealingly, Mallory had no time to ‘rub out’ or massage away the rope marks imprinted in his skin afterwards if the slip occurred up at the iceaxe site and he then descended down the yellow band solo which would take some hours in the dark. Thus I favour based on this evidence, M&I being together until right at the end. Thank you for a fruitful discussion. 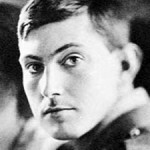 I became fascinated with the story of George Mallory when i was just a boy, recently watched the documentary where finally the body of Mallory was found. One aspect that i had previously never considered is the mention of “summit madness”. With Mallory’s mindset of one who will not give up, i think it is very creditable to suggest that they continued knowing full well that they may not make it back down. After already trying twice Mallory would have been incredibly driven to finally reach the summit. Also the concept of reaching the summit of Everest and to claim the prize of first ascent is interesting, many will say that a “successful” climb is to reach the summit and return, yet the actual argument is to testify who reached the summit first? I believe that even Hillary commented that he was the first to reach the summit and return. Do i believe that Mallory made the summit? I really do not know, i would love to believe that he did and the fall occurred on the return back down sadly. It does leave me with sadness that the truth cannot be ascertained as there seems to be no proof to prove the climb reached the summit. Hi, thanks for the tip re: recent BBC4 doc on Everest (which I spotted via your tumblr blog). Have you read ‘Into The Silence: The Great War, Mallory and the Conquest of Everest’? I got it from the library at the end of last year and really enjoyed it. I have not yet been to the Himalayas but it is my intention to go – hopefully in the not too distant future. Yes, I’m reading Into the Silence at the moment. I’m only about halfway through though, so I don’t know if it adds anything to the debate on whether they reached the summit. Thanks much for the pictures of Mallory’s path up Everest! Just finished “Paths of Glory” and while I know it’s a fictionalized version of the story, it seems as though at was based on significant research. I personally agree with you that Mallory made the summit. I think he died because he was climbing with a much less skilled climber who when exhausted could not avoid making a deadly mistake. The fact that Mallory made it (or very nearly made it) in 1924, and the next (and the official) summit did not happen until 1959, is just an incredible testament to Mallory and team. They were wearing Burberry scarves and knit gloves for crying out loud!! Incredible. Wonder if they would have made it back if Finch were allowed to go? That Jeffrey Archer eh? Can’t even think of a title for his books without plagiarising. Always thought he should have been banged up for crimes against literature, never mind perjury. Don’t even think about reading it. You’ll never get rid of those memories. I started reading Kane & Abel on a boat once. There was nothing else. Still feel dirty, 24 years later. I’m pretty sure I mentioned it was fictionalized. And I certainly never made the claim that it would “end the debate” or even influence it in any way. It did nothing more than make me mildly interested in whether or not Mallory actually made it to the summit. So, I began to do some research on the topic which is how I found your site. And I found your analysis to provide quality research and photos which I found valuable and I therefore thanked you for that. That’s it. How I became interested in this is really not relevant is it? Yes, by all means, let’s jail every writer that doesn’t appeal to the sensibilities of Alan Pike. Do you feel a little better about yourself now that you’ve been able to put down someone else? Do you really have such a low opinion of yourself that you have to try and elevate yourself by putting down others? That’s no way to go through life. No offence intended, Charlie. Alan and I were just indulging in a spot of light-hearted banter, which is the style on this blog. I honestly did think you must be a troll, hence my jokey reply. Jeffrey Archer – seriously? Even those three words together in a sentence sound funny. Just wanted to save you some time and potentially some pain. I just looked at the reviews on Amazon for Paths of Glory and while it gets 4 stars, most of the positive reviews seem to be from people like me, who know nothing about Mallory or mountain climbing. The way I got it, btw, was that my wife picked up three books for me from the library while I was sick, so I’d have something to read while recovering. I didn’t expect to read this book but decided to read the first chapter and it was entertaining enough that I decided to keep reading. Anyway, I didn’t want to leave the impression that I was recommending this book to people who care about the story of Mallory and Everest. Sorry to have pulled you off in this direction. At the time, I didn’t know what I didn’t know. I plan on reading “Into the Silence” next. Perhaps I’ll find some other good books on this topic as well and learn the real story. Thanks, it’s kind of you to get back to me but, don’t worry, I’m under no illusions about Jeffrey Archer’s writing. My mother, bless her, was a fan of it, so I actually read some of his short stories many years ago. Let’s just say, they weren’t my cup of tea. So that’s why we didn’t take what you said seriously and thought you were being a troll. Sorry about that – it didn’t occur to me before, but probably quite a few of Archer’s readers, particularly on Amazon, may not be aware of his background. I’m sure I will hate the book, but I would still like to read it just to see how lousy it is! I know nothing about climbing aside from what I’ve read, but the subject still fascinates me nonetheless. I can’t begin to imagine the courage and physical strength necessary to achieve such goals; especially in the early day of climbing when the equipment was so rudimentary, and by today’s standard grossly inadequate. Mallory, from all the accounts I’ve read about him, was a driven man with something to prove. I don’t believe he would have allow artificially imposed limitations to stop him. Success is not simply a matter of physical abilities in my opinion, but mental ones as well. Willpower, determination, and a supreme confidence in oneself play a role as well. Believing that something is possible, sometimes is enough. Breaking the 4 minute mile record is a good example. I like to believe Mallory made his summit, and whether he did or not isn’t really important. Like the early American pioneers, he broke the ground that allowed other daring adventurers to follow in his awesome footsteps..
Hi Chuck, I completely agree. As the Himalayan historian Kenneth Mason once said “every mountaineer owes a debt to his predecessors and climbs on the shoulders of those who have gone before”. Hi all. Good blog Mark! Im looking forward to Graham Hoylands book ‘The Last Hours on Everest’ released in May this year (23rd) i think. Now this is a guy that knows his M & I and it should be a cracking read! Iv read every single book on this subject and have see-sawed in my estimations of did they/didnt they but was just thinking that i’ll bet the 2 of them wouldnt have slept much on the final night especially GM, i mean surely theyre about to become legends (victorious in their minds) and i think being massively overexcited at the prospect George wouldve said at say 3am (ish maybe) “Bugger it Sandy, we can set off now cos there’s plenty of moonlight! Course they were at the 3rd step at 12:50pm!! They nailed it guys!!! This convinces me more than ever that he saw them on the Third Step but was later talked out of it. IMHO there have been many wildly implausible stories advanced about what Mallory and Irvine did that day based on very flimsy evidence. This for me offers the simplest and most plausible explanation. I don’t think we can speculate about what time they left camp with any more accuracy than we can speculate about how quickly they climbed, but if they were using India time then daylight hours would have been around 4am to 6pm, and if China then 6am to 8pm, give or take a bit. Either way it’s possible they could have reached the Third Step at 12.50. Good discussion. There has always been much debate concerning whether Mallory would have pressed on without oxygen and/or with the possibility of having to do some of the descent in the dark. I have always thought that when Mallory, before departing for Everest, confided to a close friend that he didn’t expect he would be returning, it most probably indicated a “Pikes Peak or Bust” determination that would have led him to accept more risk than might have been usual in those early days when a more conservative ethos generally ruled. I’m an M&I researcher, and just thought I’d invite you to my forum which is at the link I submitted. You (hopefully) can find some interesting tidbits on my webpage as well. Regarding the oxygen discussion going on here, I have my own theory where I do include climbing rates, but understand that not only do they change depending on terrain, but it’s certainly possible there were sections where it wasn’t used at all, at least for short periods of time. I was reminded by a commercial Everest guide that during the 1975 Chinese ascent, the climbing party shared one bottle between 9 people and they all made the summit! That’s quite a collection of Mallory resources you have there! I agree with you, and believe a shortage of oxygen need not have prevented them reaching the summit. Mine was turned down from 2 litres to 1 litre per minute at the Third Step while I was still on my way up. I have always found oxygen apparatus difficult to use, and there have been times when I’ve not been convinced that it’s working properly. While it’s a huge advantage at high flow rates, I don’t believe running out is a show stopper. Hope you like it! I tried my best to incorporate some new ideas, especially about their high point via Norton’s route across the Great Couloir, what may have happened at the ice ax site, how they used oxygen and their oxygen consumption, as well as what I hope are logical climbing rates. I really enjoyed reading this. It’s an interesting theory which needs to be read right to the end. I must confess that I read the first half with a certain amount of irritation – I prefer the simpler explanations and couldn’t understand why you had chosen to ignore Odell’s sighting and had them traversing beneath the ridge. I found your description of the descent much more plausible though, and take your point about how everything fits into place if Odell’s sighting was imagined. Every other theory seems to have a flaw, and mine conveniently ignores the storm which Odell described at Camp 6. While I think they had time to reach the Third Step and could have climbed the Second by standing on each others shoulders like the Chinese did, the storm is harder to explain. It is likely to have turned an exhausting ascent into a total nightmare and may well have turned them back before they reached the summit. It may also have been the reason Mallory put his glasses away rather than darkness, as you point out. I prefer to believe Odell’s sighting was genuine, but we seem to be agreed on one thing: that Irvine’s body may yet remain undisturbed in that huge inaccessible area, and perhaps it’s better that way. Thanks for reading the article, nothing like someone who was there to comment on it. I’m working on a new article where I examine some high-res (20 megapixel) images of the 1st Step given to me by a friend on the mountain, and why climbing a step in the way described by Odell IMHO couldn’t have been on the 1st Step. Do you have some high-res images that you could share? If so, please send to postonp@wou.edu. Mark, wouldn’t it be possible for M&I to bypass the 1st and 2nd steps altogether? Quoting Mallory himself, “It won’t be too early to start looking out for us either crossing the rockband under the pyramid or going up skyline”. Everyone seems to be obsessed with the ridge and the 2nd step. Perhaps there’s a very good reason for that but I’m just wondering whether it wouldn’t be easier for M&I to emulate Norton’s approach and then regain the ridge at the 3rd step. This would satisfy Odell’s sighting and solve the issue of “unclimbable” 2nd step. However, only a person who’s been there and knows the terrain can really tell if this is even possible. This is the scenario Pete describes above, though in his theory the pair are unable to climb out of the Norton Couloir, which reaches the ridge more or less at the Third Step. I didn’t look down it too closely when I climbed past, so can’t comment on whether it would be easier to exit the couloir before or after the step. Interesting. Still, Mallory would have to think about getting up and down the 2nd step with his inexperienced partner. I guess it’s only with hindsight that we now know how to do it “properly”. But M&I had to weigh their options and I’m inclined to believe the couloir route would be perceived as less risky, especially given the Norton’s relative success the day earlier. After all, they couldn’t afford the loss of time and oxygen. Maybe that’s why no traces of their oxygen sets have been found on the ridge? I guess we’ll never know. Thanks for the URL, these are fascinating questions to ponder. Though I do tend to agree that the interpretation of a successful ascent also involves returning from the summit, it’s also an inarguable fact that if evidence (the missing photograph or camera) could be found that Mallory, with or without Irvine, made it to the top of Everest than one has to give him credit for the fact that his feet were the first to stand atop the peak nearly 30 years prior to Hillary and Tenzing. Just because he died on the way back down doesn’t eradicate this simple fact if true. What it boils down to is one’s philosophical view of whether the attempt was a success. Purists would say no, absolutists would say yes. Either way, if Mallory made it he was technically the first man to stand on top of the world, and no one could take that salient but simple point away from him no matter how much they cared to argue the matter. Another point to the Mallory argument I always tend to find a little questionable is the way people tend to denigrate his climbing abilities when measured against modern techniques and accomplishments. It’s standard practice amongst successive generations to perennially apply a certain smug arrogance in terms of their abilities versus those from the past, perpetually forgetting of course that it’s those very accomplishments and pioneering methods that have laid the groundwork for their own successes and improvements. And of course one of my favorite counter-arguments is to point to the likes of Mozart or Beethoven and ask people where their latter days superiors are to be found. By all accounts, and judging by some of his known rock-climbing accomplishments, Mallory was an extraordinary technician by the standards of his era and a man possessed of the kind of body type many consider ideal in the present day for climbing – a light, wiry frame with exceptional strength to weight ratio. In short, he was way ahead of his time in both approach, technique and body type, a man who 50 years later would have been perfectly suited to the kind of alpine techniques Messner and Habbeler brought to bear on climbing Everest. What obviously would have held him back in the 20’s was the parlous state of the clothing and equipment by modern standards, the technical developments and mountain of knowledge that modern climbers take for granted, and the limitations of those he was climbing with back in those days. Yet by all the accounts I have read of the man, the second step on Everest would clearly not have been beyond his abilities – oxygen and weather permitting. And I also tend to buy into the author’s argument that Mallory, not being armed with present day knowledge of the actual distance from the third step tot he summit, would have soldiered on in the belief that it was considerably closer than he imagined. Anyone who has been caught in these circumstances on an unfamiliar climb knows well that the psychology is to keep on going in the belief the end is nigh, and with each false dawn to keep maintaining that belief. Bottom line? Given the circumstances – the misleading summit ascent, the fact that it was Mallory’s last attempt on Everest, his driven personality, summit fever, the missing picture and the glasses in his pocket, etc – I believe that if he made it past the second step, then he would have made it to the summit, even if in doing so he put himself in peril, unintentionally or not. I just fervently wish that the matter could be settled one way or the other before I die, because I don’t think it would necessarily detract from Hillary’s accomplishment if Mallory were finally given his due for an astonishing achievement, given the conditions and circumstances of the period he was climbing in. Given the rate of snow melt on Everest in recent years who knows? Maybe Irvine’s body will be found at last, or a photograph buried beneath decades of snow at the peak. A little PS. Many years ago a newspaper ran a contest to see who could come up with the most noteworthy fake headline. The winning entry was one that stated ‘WWI a mistake! Franz Ferdinand found alive!’ Around the time Sir Edmund Hillary died, an alternative entry popped into my head – ‘Mallory did it! Hillary admits on deathbed destroying picture!’. I mean that of course in jest, as I have nothing but admiration for Hillary, not only for his achievement in scaling Everest, but for all the extraordinary work he did for the people of Nepal in the years afterwards. Having just read “Ghosts of Everest; the Search for Mallory and Irvine”, which I must says seems to do an excellent job of drawing logical conclusions from the available evidence, I too join the ranks of those who believe Mallory, and probably Irvine were the first to reach the summit. The questions in a layman’s mind are: where is the photography of his wife that GM was intending to leave on the summit, but was not found on his body? Why is SI’s body now apparently “missing” when it apparently remained in situ for so many decades? Loved the article. Since I was a kid have always been fascinated with the idea of whether Mallory and Irvine made it to the top. I am just curious on three issues, the references the Chinese explorers in the 1960s and 70s to European body – do you believe they were talking solely about Mallory or Irvine? Secondly the scenario of Irvines body falling 2000-3000m into glacier do you buy it yourself or do you think the body is still on the actual mountain itself? Finally what do you make of Mallorys widow’s assertion about the photo he carried of her? I know there are one or two Mallory and Irvine experts lurking on this thread who may be able to answer your questions better than I can, but I will do my best, and perhaps if any of them notice they can correct me if I am wrong. 1. I understand some of the references to a body may have been that of Maurice Wilson, the inexperienced English pilot who made a solo attempt on Everest in 1934. His body was found below the North Col by Eric Shipton’s team in 1935 and buried in a crevasse but may have resurfaced. Any reference to a body high up on the mountain is almost certainly Mallory or Irvine. There were rumours of a clandestine attempt on Everest from the north by a Russian team in 1952 which went disastrously wrong. 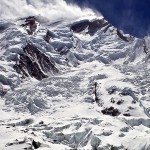 Six men were supposed to have disappeared at Camp VIII around 8200m, including expedition leader Pawel Datschnolian. There are doubts this expedition even took place though, and it probably didn’t. I first read about it in Walt Unsworth’s Everest history. 2. You’re probably right, the gradient of the North Face is probably not severe enough to cast a body all the way down to the Rongbuk Glacier, and it is more likely resting on a slab somewhere. The area is vast, however, so whether Irvine will ever be found is another matter. There are stories of a Sherpa coming across his body after deviating off the normal gully down from the Northeast Ridge, and the Everest historian Tom Holzel believes aerial photographs reveal an unusual object lying there somewhere, but so far no one’s ever been able to find anything in that location. 3. The story as I understand it is that Mallory intended to leave a photo of his wife on the summit. 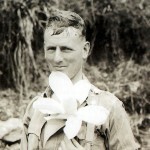 The photo wasn’t found in his tent by Odell, and nor was it found on his body 75 years later, ergo he must have reached the summit and left it there. Make of it what you will, but it sounds like pretty tenuous evidence to me. This story fascinates me to the core, but there is also something else that gets to my core. While mentioning the Third Step and those fallen around it, some possibly due to summit fever…I hate to even ask out of etiquette, but does that fact of climbers of 8000m peaks, especially Everest, having to pass many bodies add to the emotional toll of climbing the mountain? It’s always weighed heavy on me after reading so much literature about Everest. I feel that when I make a summit attempt myself, that having previous knowledge of some of the fallen’s names and backgrounds, may take some well needed concentration off the mountain. Is it that big of a deal or is it an accepted evil of climbing, wherein through exhaustion, you’ll hardly notice? Nevertheless, this has been a valuable lesson in ‘summit fever’ and you may very well have saved my life someday down the road. Although I’m just an amateur, I thought you did a good job sumamrising and answering those questions on the 2nd of June about Mallory and Irvine. The 1952 Soviet expedition I agree likely didn’t occur simply by virtue of the lack of ‘logistical remains’ ever found such as transport logs, discarded fuel drums, punctured tyres etc en route to Everest. Recall in 1952, any expedition would have to travel there somehow, perhaps by air to an extent then by vehicle, so that means petrol stops and the debris left behind to and on Everest, such as food tins with cyrillic lettering etc. It would be impossible to remove all evidence of such an expedition, and no-one has ever found a broken down ZIL lorry by the side of a dusty track near Everest…. Briefly, there is the report of Xu Jing in 1960 sighting of presumably Irvine, initially thought to be lower in the yellow band, but in recent years after Jochen H, helpfully revisited the matter, Irvine is now considered by some to be up above 8440 m near the ridge around the twin rock towers above the 1933 Camp VI site. To date, searches around this area by the Austrian/German expedition has revealed nothing to date. There is another sighting by a sherpa which some correlate as corresponding with Holzel’s ideas of Irvine being somwhere under the iceaxe site with his aerial photo ideas. Unfortunately, Holzel keeps changing his mind and location where Irvine actually is over time in his announcements. If he’s so sure that all these colourfully names features (which may or may not actually exist) are really Irvine or related to him, then why does he keep changing his mind and why does he not give a definitive and final location?. Moreover, after having changed his mind several times now, how does he know that his current favourite location for Irvine (which he argues on his website) is so definitive after all the other ‘Irvine’s’ such as ‘bowling pin’, ‘lobster claw’ and ‘red slash’ all were abandoned by him?. One is left with the distinct impression that Holzel is chasing ‘will-o-the-wisps’ all over the upper yellow band and calling it ‘Irvine’ such that none of them may actually be Irvine at all!. Additionally, there is some variance between all the sightings as the iceaxe site and its photographic ‘artefacts’ are some distance away from the updated Xu-jing twin crags above 8440m search area. Both can’t be right, but Jochen H in his defence has made fewer changes compared to Holzel in their respective theories. Some may say both theories are just refining their basic premise, but it can’t be denied that Holzel has abandoned more Irvine sightings and this pattern does raise questions as to its veracity, so on balance Jochen H’s theory is the most rigourous. The twin crags Xu Jing theory granted does have more scope for some ‘cubby hole’ where Irvine may have been sheltering, so it may simply be a matter of time before Irvine is found on balance likely where Xu Jing thinks he saw Irvine up on the ridge. Its odd though that for just one man in one location there is such variance between sighted locations. Personally, I still can’t work out the sequence of events such that Mallory and Irvine would actually separate on their descent. I don’t subscribe to the ‘every man for himself’ thesis after some putative accident at the iceaxe as even if something did occur there, if Irvine was able to continue some distance (about 100m toward the twin crags to eventually expire) and by definition had that degree of mobility, then why didn’t he downclimb to seek his lost mate?. Seems rather ‘mercenary’ to my mind to just abandon his mate after some accident in the dark at the iceaxe site. Also, Holzel’s claim that Mallory was able to proceed down the yellow band terraces by his own mobility essentially on his posterior, is utterly absurd. Again, if Mallory had that degree of mobility why didn’t he simply wait for Irvine to reach him or try to ascent to rendezvous with a searching Irvine?. They were British after all and we all know(or should know) that the British never abandon their mates. cheers squire, still and interesting discussion here even though I don’t look (or lurk) here as much as I should. heh heh…. This is from a rank amateur who has interest in the issue concerned. When did they fall? Who fell? Intriguing questions… i do believe that Mallory and Irvine did make the summit. The statement entered in the diary by Odell is the clincher, as this is his first impression, and being a geologist he was a keen observer. ‘Nearing the base of final pyramid’ is emphatic, and in his dispatch he does provide us an insight. As you have reproduced it, they were in and not on the ridge,(Odell dispatch) beneath a rock step,on a small snow crest… the fittest candidate is the head wall of the second step where the ladder is now placed.As as understood, the first step is too far from the base of the final pyramid, and one i presume does not emerge on top there. It is surprising that many tend to dismiss the Odell sighting summarily. The question then is, on the remaining Oxygen, did they had enough to make the summit? What if they kept the flow lower in the initial climb to give themselves the extra O2 above the second step? Ajay, it’s clear from Mallory’s notes that he overestimated their climbing rate (even when assuming full O2 flow). Therefore, he would have no reason to save oxygen as he simply thought they would rush to the summit, so to speak. As the climb progressed and they realized they lag behind their schedule, there was one more reason NOT to reduce the flow. Vis a’ vis the climb rate issue, recall M&I with their porters climbed to Camp VI economically on 1.5L/min to use 3/4 of a cylinder per. Its known they were quite pleased with their ascent to this point, so as to what happened on the 8th, still is unknown. Would they continue on toward the summit starting out at 1.5L/min or would they ‘turn the spanner higher’ up to 2.2L/min for the sumit bid proper?. Its said the higher rate was recommended by physiologists beforehand, but ‘in situ’ would they even recall that recommendation or adhere to what they thought were best for them?. The pleasing performance on a lower rate to gain Camp VI may lead to them continue on that rate, unless they thought a higher rate on the day may lead them to limb even faster?. Who can say?. What is certainly clear is that Holzel is totally wrong (again) regarding their climb rate and his ‘puppetry’ based on his assumption in pushing M&I around into increasingly bizarre behaviour. The fact is, Holzel again due to his sloppy mathematics, has made the cardinal error in his writings over the past several years of inaptly dividing the oxygen usage by the distance climbed between Camps IV to VI leading to an incredible climb rate of near 1000 ft/hr, which simply never happened!. Taken to its logical degree, it would result in M&I reaching Camp VI about lunchtime on the 6th June, with no pause at Camp V for an overnight stay and the porters lagging behind like an Austin Allegro (driven by Holzel) racing a Bugatti Veyron (driven by ‘The Stig’)!. Instead (and has been repeatedly articulated by researchers like Jochen H and expeditioners like E.F Norton), M&I climbed economically to conserve oxygen and so took the better part of two days to reach Camp VI and not climb at such a huge rate to gain Camp VI. Take away this absurdly high climb rate and the ‘false crisis’ Holzel then pretends gripped M&I on the summit bid during the 8th where they found they were suddenly nowhere near Holzel’s 1000 ft/hr climb rate, and suddenly there is no need for M&I to panic and be pushed around by Holzel and have them either climbing the 1st step for a recreational foray or have Mallory supposedly wander off alone toward the coulouir and then have Irvine solo climb up the 1st step when the rendezvous occurred all due to Holzel’s false crisis of a shortage of oxygen. Instead its more likely M&I pleased with their progress and economy to gain Camp VI, simply climbed at the lower or higher flow rates on the 8th, certainly well below 1000 ft/hr, but that wasn’t an issue as they likely weren’t even thinking about that kind of figure. Granted there may have been some dismay in their progress, but nothing to warrant the kind of frankly bizarre behaviour Holzel has them going off doing. Thus I’d argue that things went reasonably alright for the pair, once up on the NE arete’ they’d keep going skyline and then tackled the main rock steps as Odell observed for the 2nd step. there is more to the climbing rates of Mallory and Irvine. Hopefully one day Philip Summers will publish his extremely credible research on the climbing rate issue of Odell. That work has bearing on the Mallory and Irvine climbing rates and more. We do need to consider the following and take it to its logical outcome: The best fit as per Odell’s sighting would have to be either the Second Step or even the Third Step. If they were past the Second Step by 12.50 and given the location of Mallory’s body what does one deduce? A descent in the dark? Obviously they could not have retreated during the storm…Odell could see it off then so could they have? There has to be the third,fourth and fifth cylinder up above the Second Step…the fact that Stella envelope mentions the pressures of five cylinders is interesting…not four, not six but five, and one of them, number nine, was found by the 1999 expedition. So perhaps those five were earmarked for the summit.. 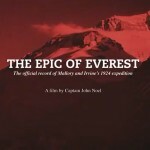 I saw The Epic Of Everest today remastered footage taken by captain john noel in 1924. It was truly amazing and a must see! Your analysis is fantastic and it is something that we’ll always wonder if they got there. I am inclined to believe they did. Thanks, glad you like the post. I saw the film on Friday. It had its moments, but overall I found it quite strange. You’re right, though, it’s worth seeing. My review of it will be coming up next week. In 1982 I led an early ascent of Muztagh Ata – the first commercial ski ascent – and my L.O was none other than Mr Chu Yin-hua who had led the first confirmed ascent of the Second Step in 1960. He had of course ‘trained’ on Muztagh Ata. I was especially interested in Chu because not only had I been a member of the 1971 international attempt on the South Face of Everest, but especially because in a book of mine I’d cast doubt on the claimed Chinese ascent of 1960, basing my evidence on research carried out at the Alpine Club which proved categorically that many of the published details of the Chinese climb, the photographic captions in particular, were fiction. Chu was a charming and honourable man and he knew what he was talking about. We had long discussions about Everest, about high altitude techniques, about Mallory and other climbing personalities. I ate my words. He told me that the published stories of the 1960 ascent were party political bunk – no way did they carry a bust of Mao to the summit ( and so on ). The three man summit party fought for their lives, were almost benighted and were very lucky to survive. Chu himself had led the Second Step in stockinged feet and much of both feet were missing. He said that he’d used combined tactics and managed to jam a couple of ( primitive bladed ) ice pegs in a crack and ‘muscle up’ – and then placed the short electron ladder for his companions. ( Mallory’s climbing diary, explored by Peter Gillman in his excellent 2000 biography ‘The Wildest Dream’, elaborates on that )- and that he was a necky and sometimes even reckless climber. Chu asked about rock climbing holds and I had to explain the hand-jam and the lay-back. He admitted that he – Chu – was not a trained rock climber, merely a young lumberjack and the strongest young fellow around when the Party press-ganged him into mountaineering. Chu told me that he considered that Mallory HAD, in all probability, climbed the Second Step and HAD reached the summit – making the first ascent of the N.E.Ridge and of Everest itself. A remarkable loss of face for a Chinese Master of Sport. I’ve not seen the Second Step myself but I hold on file and have studied several different photographs of it. It appears to present a different climbing problem in each. Leo H. was seen to float up it in the recent film – I have to wonder what were the conditions in 1924 – was the corner crack backed up with snow ? Or what ? What is also very intriguing is that Frank Smythe saw Mallory’s body in 1936 but confided only in Norton – ‘for obvious reasons’. See Tony Smythe’s excellent new biography, just published, ‘My Father Frank’. Incidentally, I look forward to reading your review of Noel’s film. I too was at the London premiere and am also reviewing it for the A.J. Lots has been written about Mallory and Irvine but hardly anything about the 1960 Chinese expedition, which is every bit as intriguing. What struck me about their account when I read it was not how ludicrous the descriptions of Communist Party meetings on the Northeast Ridge seemed, but how plausible was their description of the summit route (https://www.markhorrell.com/blog/2013/did-chinese-climbers-reach-the-summit-of-everest-in-1960/). It’s a real privilege to hear about this story you received from the horse’s mouth! Men of his calibre in those days where true pioneers, the photograph of his wife that was missing from his body when it was found tends to credit that he accomplished his mission that he would leave it at the peak is true to the credit of the era of that time. Hilary and Tenzing did climb the peak and returned safe and sound but I believe that GEORGE MALLORY and IRVINE was the first to climb the mountain but did not return based on his missing photograph of his wife.Meanwhile Hilarys statement that he found no evidence cannot be substantiated, did he look hard enough or did he get rid of the evidence? You only respond to comments that are praising of you instead of taking on any criticism. Very childish. What a great article. The story of Mallory and Irvine is, in my opinion, one of the greatest adventure mysteries of all time. It’s fascinated me for years. Like any good mystery, there’s evidence supporting both sides. 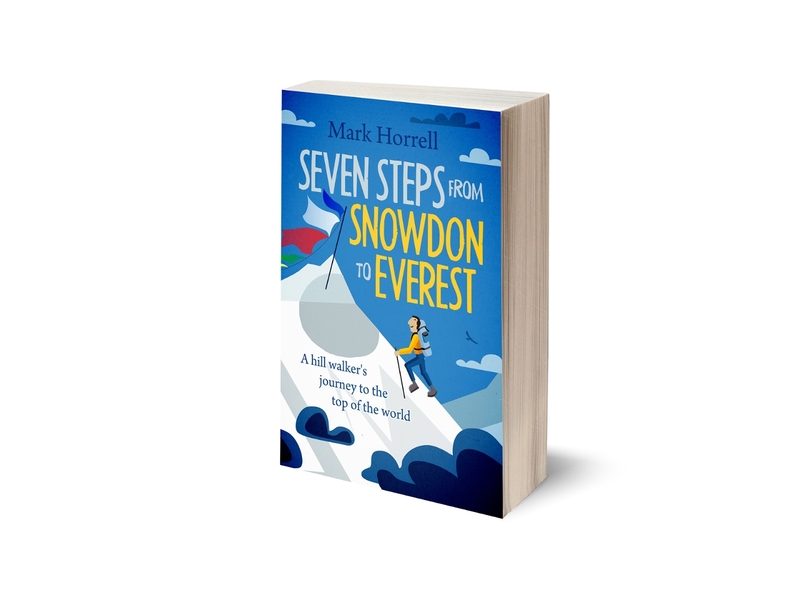 I think those who have actually climbed Everest, as you have, Mark, offer the best insight into this story. I think most of the theories that they didn’t make it assume that Mallory was thinking logically. Mallory was famously bull-headed. If he got to the top of the Second Step, I don’t see how he didn’t make it, oxygen or no oxygen. Now whether Irvine could’ve free climbed the second step and continued on to the summit, possibly without oxygen, I’m not so sure about. But I do believe Mallory could’ve done it, and if he got as close is it looks like he did, I think only God could’ve stopped him. Your note on O’Dell’s perspective is an interesting one. The evidence you provide makes it seem very unlikely that they were on the First Step when O’Dell saw them, but rather on the Second or even the Third Step…and moving well. If they were that close by 12:50pm, it’s hard to see them not making it. Regardless of whether they made the summit or not, I do think the point of the summit only being halfway is a valid one. You can’t really say you’ve conquered the mountain if the mountain conquers you on the way down. The truth is, we’ll never know. It’s a fascinating mystery that only adds to the lore of Everest. And it’s fun to imagine the view that they would’ve had at the summit, untouched by the hands of man, knowing that they were the first to ever see it. I can’t even imagine what that must’ve been like. Though exhausted and oxygen-starved, who knows how well they’d have been able to enjoy it. And as tragic as their story seems, I honestly don’t think Mallory would’ve scripted his demise any other way.